After six months in the United States Premier Hockey League, Thomas Ratcliffe will be returning to the Widnes Wild for the remainder of the season. All paperwork being completed on time Tom should make his debut for the Wild against Blackburn Eagles on the 31st January. Great work from Wild manager John Anderson, Tom’s father Nick as well as the EIHA & IHUK has given the Halton based side the opportunity to get Tom wearing the white, yellow & black Widnes Wild colours . 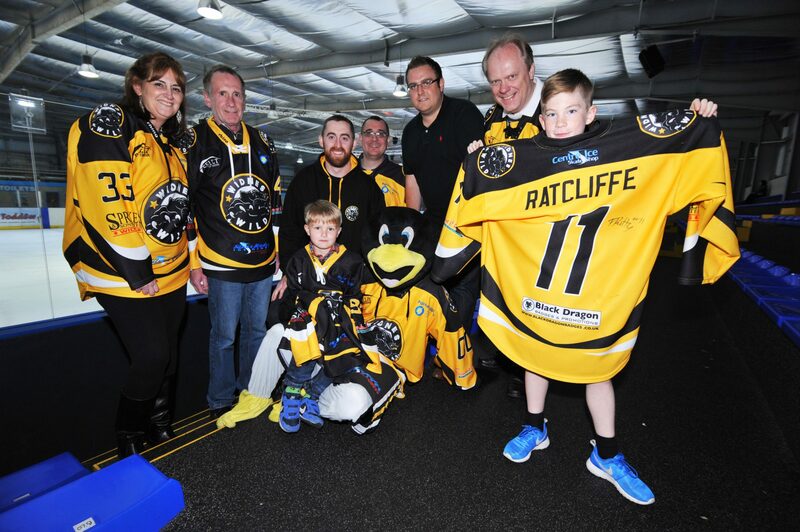 Thomas Ratcliffe will be wearing the number 40 jersey for Widnes Wild. His Home, Away & Cup jersey’s are available for ‘Own & Loan’. If you are interested in purchasing one of Tom’s jersey’s then please email; scott.mckenzie@widneswild.co.uk. The next home game for the Widnes Wild is on the 31st of January against Blackburn Eagles. Tickets can be bought through the box office at Silver Blades Ice Rink Widnes.